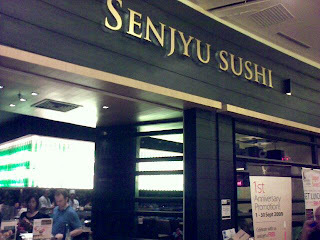 To satisfy my Japanese craving, we ended up at Senjyu Sushi at Cineleisure last Sunday evening. I was happy to see that there were many people inside, which was quite different from our last experience a year ago when hubby and I ate there during their soft opening. Seeing that it was packed, I gained confidence that this will be a satisfying japanese meal. Our order took a while to arrive, but luckily there's the sushi train which displayed a wide array of choices. 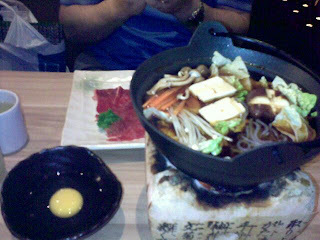 Hubby sampled one and said it was yummy and much more superior over Sakae Sushi. Poor me, couldn't sample it because it contained raw stuff, which is a no - no for pregnant women. Our beef sukiyaki arrived first and it's a bit on the sweet side, though it tasted good (most especially bec I was starving). They didn't serve small bowls nor soup spoon, so I had to make a request. Else I wonder how do they expect us to eat it? 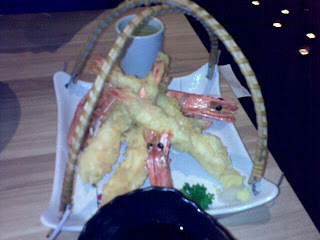 The highlight of the meal was the Giant Ebi Tempura which was bigger than the usual ones served. It was good and crispy. And they also served the shrimp head. 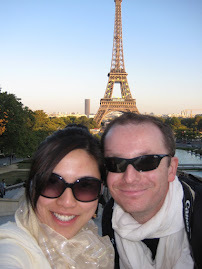 Usually we don't eat the head, but hubby said it had some nice meat inside the head so he ate it. We also ordered a Spider cheese maki which was the last to arrive at the scene... Which was kind of weird bec that should have arrived first. Kudos to the staff handling the green tea as they were quite attentive in adding refill to hubby's tea cup. Overall it was an okay experience. 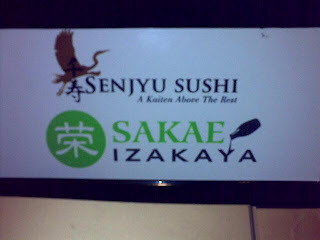 Their sushi and sashimi train seem to be of better quality than Sakae Sushi. The pricing is also higher. 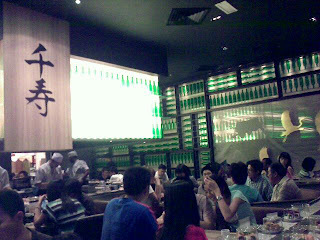 Overall we paid rm 113.30 which was okay for good japanese food. Though if given a choice and we were driving around hunting for a Japanese restaurant, I think I would opt for Sugimoto or Rakuzen in sri Hartamas. Authentic Japanese at a Cheap Price!